The worship of God has always been expressed in joyful, even noisy ways. To be sure, our musical ensembles work hard to create “noise” that is beautiful and uplifting. But even the most tone-deaf person in the congregation or the most exuberant child has his place in praising the Lord with joy! The key component of our music making is the congregation. The gathered people of God are the main choir of the church. Whatever else happens musically, it is to enable you to make your joyful noise to the Lord. We have two groups that perform regularly in our worship services. 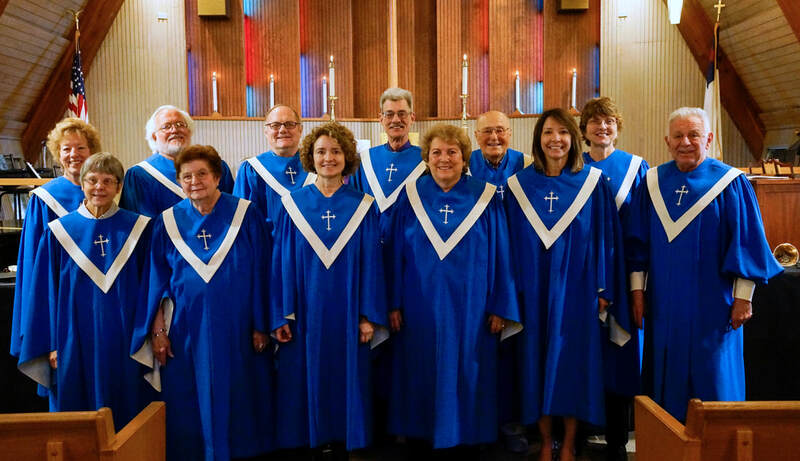 Our Church Choir sings a wide range of music, from the classics to some of the best of Contemporary Christian Music and everything in between. Our “Sounds of Ascension” Handbell Choir plays on average once a month in worship, as well as for special services and concerts. New members are always welcome to join either choir. Concerts are offered to the community several times during the year as a form of outreach. These are financed solely through designated donations to our music reserve fund.